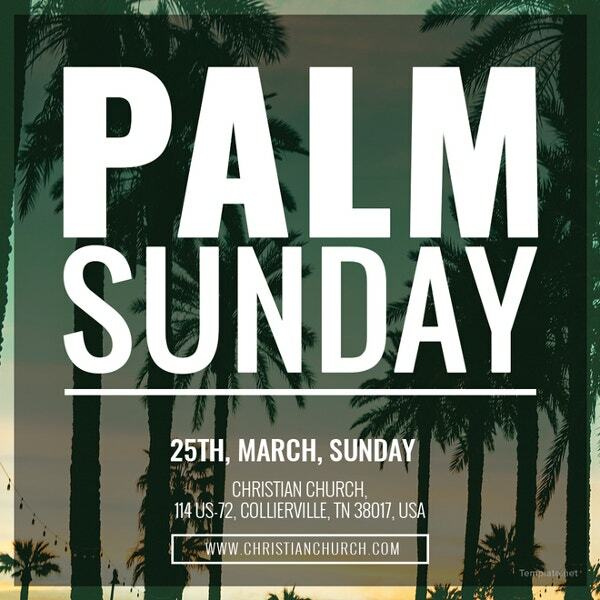 Palm Sunday is an event that marks the start of a busy week for most Christian religions as they prepare for Lent or the Holy Week. And as the event fast approaches, the need for church pastors and other church officials to create occasion-appropriate announcements and bulletins also increases. You may also like church invitation samples. So if you are part of a church committee assigned to this specific task, you should now begin to look for different graphic design projects and printable templates that will tie up everything seamlessly. 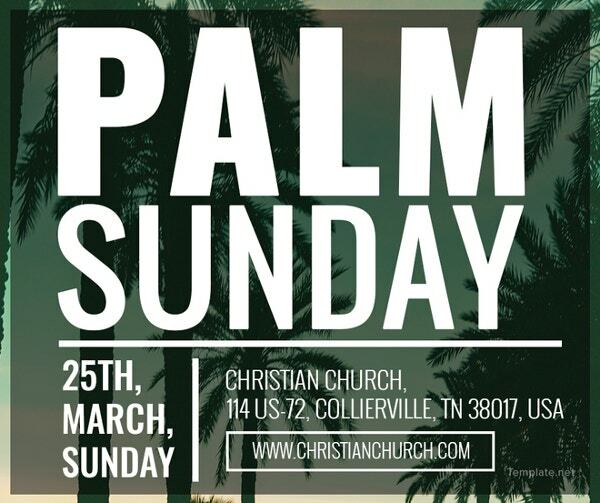 But first, you should have a deep understanding on what Palm Sunday is and how you can leverage your knowledge of the event into creating a more meaningful information and marketing campaign for your church ministry. 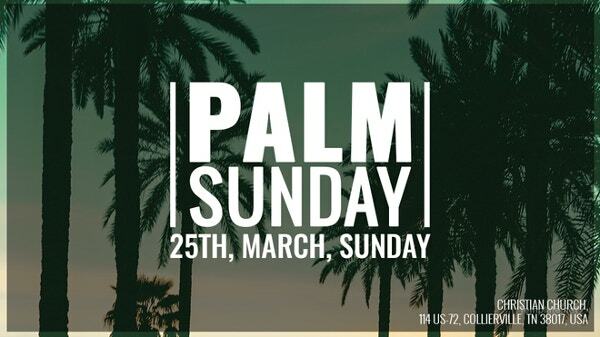 Palm Sunday is a religious annual holiday held on the Sunday before Easter. It is a feast day celebrated by most Christian denominations to mark Jesus arrival in Jerusalem. It was believed that Jesus was heralded by a lot of people carrying palm fronds as he peacefully entered the city. And hence, the event was called Palm Sunday from then on. You may also see church letterhead templates. 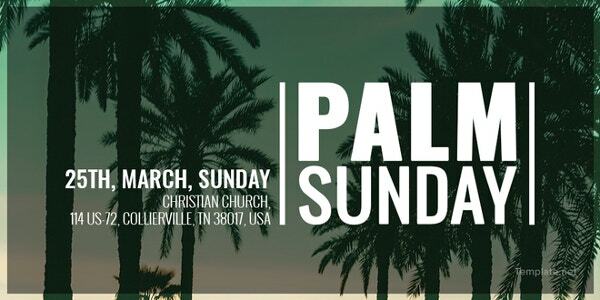 What To Look For In A Palm Sunday Church Template? 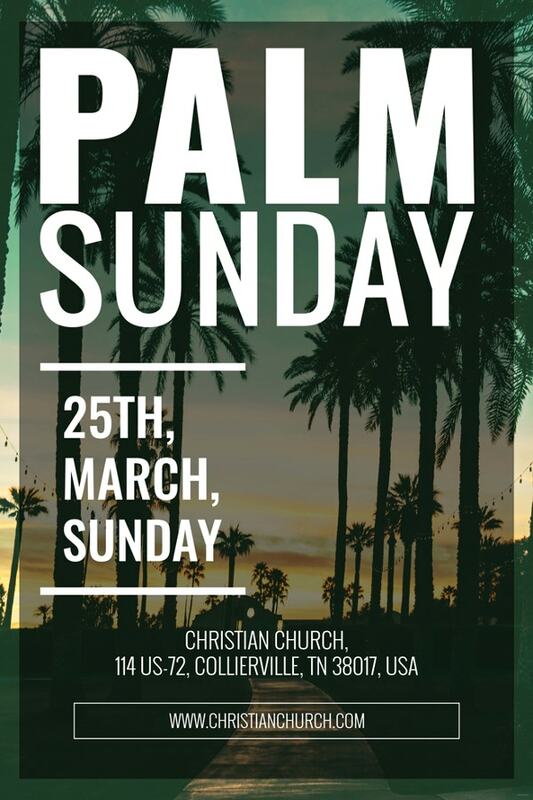 In this article, you will find different examples of printable church templates that can be used for your church’s marketing and information campaign before Palm Sunday occurs. These templates can also be used for any church information guides you want to create for the upcoming Lent and Easter. The most important factor to consider when choosing any kind of pre-made template is its design. 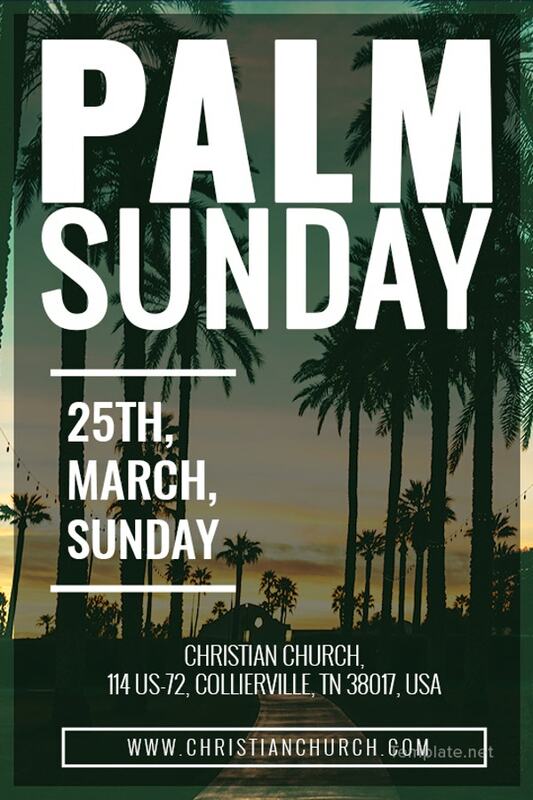 Remember that you are looking for a church template that will fit the Palm Sunday theme. 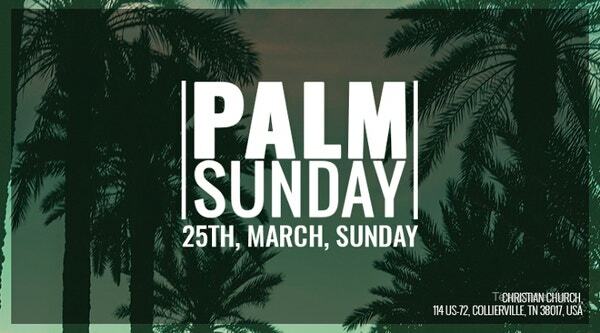 Therefore, you should choose a template design that will show the solemnity and subtle feelings of celebration depicted during Palm Sundays. Also, keep in mind that church templates will be used for religious purposes. You should not pick templates with loud and gaudy designs. You may also see sample church letterhead templates. When looking for a Palm Sunday church template, you should factor in the type of church stationery you want to create. 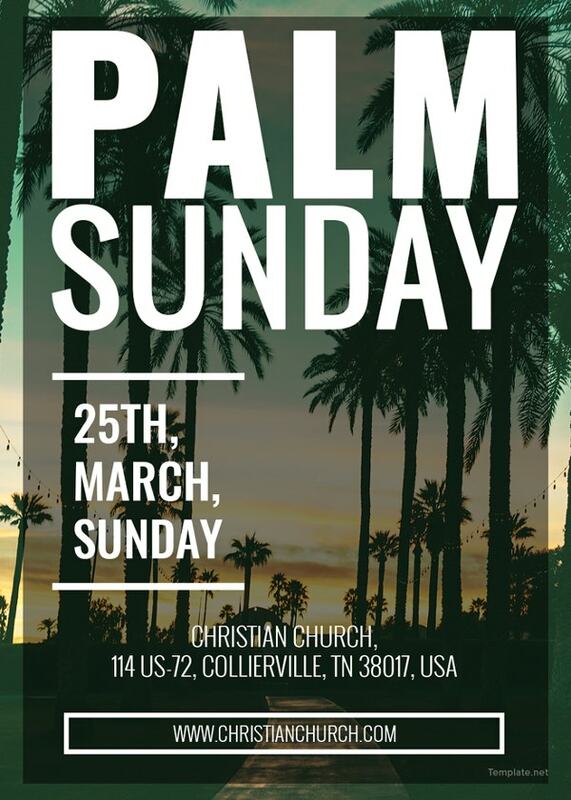 For instance, if you are creating a church flyer, it is best to select a Palm Sunday template that is available in a standard flyer template size. Doing this will make your life easier when it is time to edit and print out the template. Another aspect to look into when picking a Palm Sunday church template is the template’s file download type. Most printable church templates are created using graphic design software tools like Adobe Photoshop and Illustrator. This will mean that these templates will also be stored either as EPS or PSD template file types. It is important to know the kind of file type the templates are stored in so that you will know what type of software program to install and use. In the same vein, you can also choose a specific file format that you already know how to use. This way, you do not have to study how to use any new graphic design software. Those are the three main guidelines you should follow when choosing a church template for the upcoming Palm Sunday celebration. 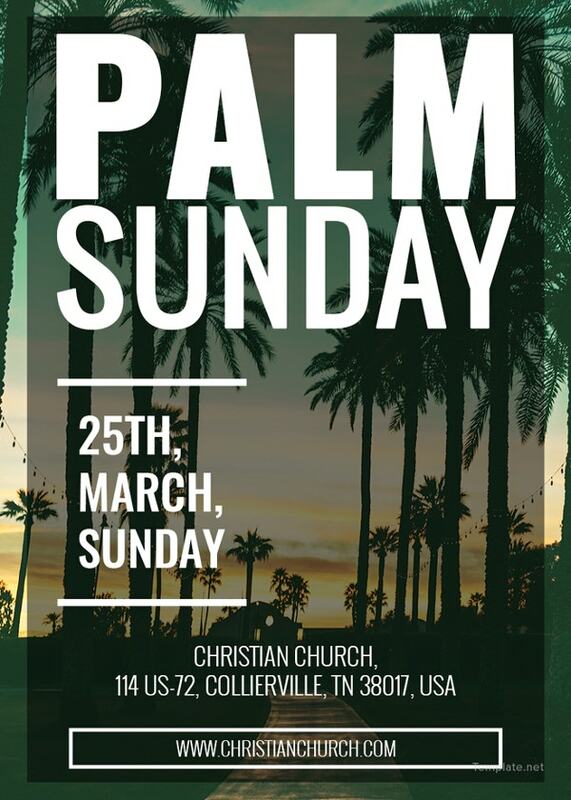 Browse through the church template collection that we have embedded within this article so that you will be inspired by creating the best Palm Sunday bulletins and informational material for your church.